GE Cameras - Who made them? General Electric was fairly new to the digital camera marketplace, but GE cameras quickly made a mark. GE cameras were licensed as General Imaging cameras. Most GE cameras were point and shoot models and they offered some interesting cameras. Of course, GE is an extremely large company that's known for far more than digital cameras. Thomas Edison opened a laboratory in Menlo Park, N.J., in 1876, where he invented the incandescent electric lamp. Edison founded the Edison General Electric Company in 1890, and his company merged with the Thomson-Houston Company in 1892, forming General Electric. Many of GE's earliest businesses remain part of the company today, including electric lighting, industrial products, power transmission, and medical equipment. GE began producing electric fans in the 1890s and heating and cooking devices in 1907, both of which continue to be manufactured today. GE Plastics started in 1930, relying on many of Edison's early experiments. Today, GE continues to innovate. For example, GE's Healthcare division developed the worlds first HDMR (high definition magnetic resonance) machine in 2005. In 2007, GE developed a high-powered white LED with a 50,000-hour rated lifespan. GE, which owns NBC Universal, started the Hulu.com Web site in 2008. The Schenectady Museum in Schenectady, N.Y., includes a large number of historical photographs and other information on the history of General Electric. The General Imaging company of Torrence, Calif., was the worldwide licensee for GE branded digital cameras. Sadly, they ceased operation in 2016. GE's cameras were aimed at beginning users, with most models priced between $150 and $250. A series. 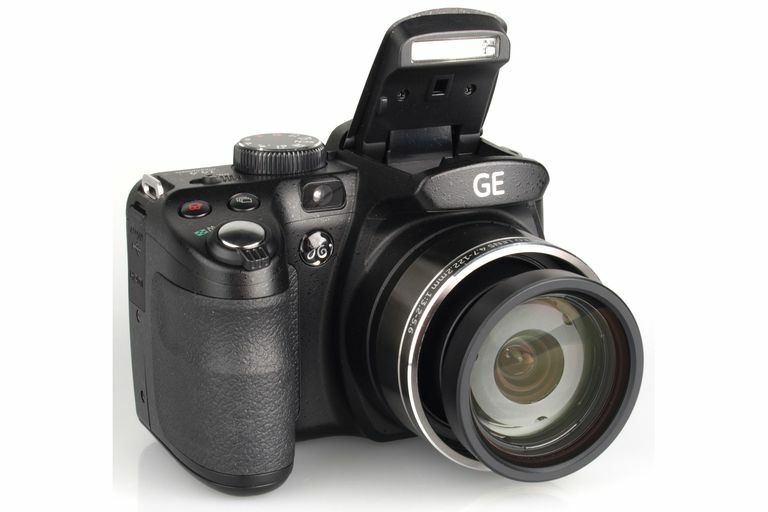 The GE cameras in the A series were the most basic models aimed at beginners. A series cameras ran on AA batteries and had baseline optical zoom lenses (3X) and LCDs (2.5 inches). E series. The E series of GE cameras used larger LCDs than the A series (2.7 to 3.0 inches) and most had 4X or 5X optical zoom lenses. G series. The G series cameras from GE worked at being stylish models and offering some unique features, such as the waterproof G3WP model.